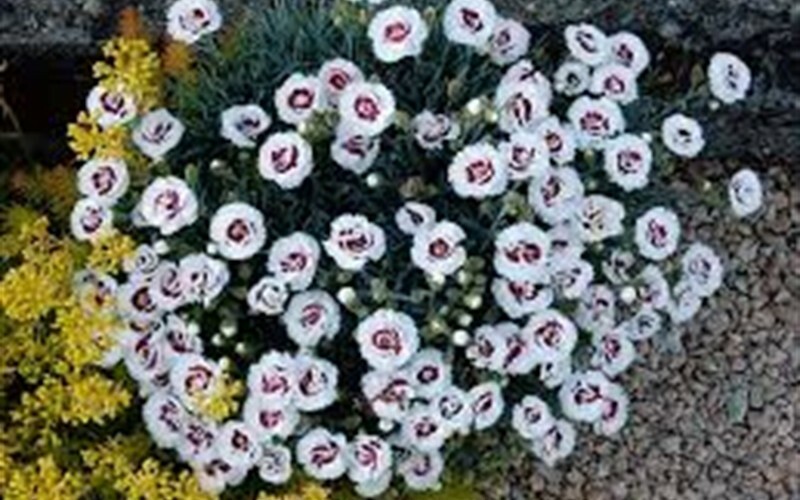 Coconut Surprise Dianthus is a moderate growing groundcover plant and perennial plant that can be grown in USDA Plant Hardiness Zones 5A through 9B. It matures to an average height of 1 inch to 1 foot and an average width of 6 inches to 1 foot, depending on climate and other environmental factors. It prefers growing in a location that provides full sun and grows best when planted in sand, loam or clay soil that is well drained. 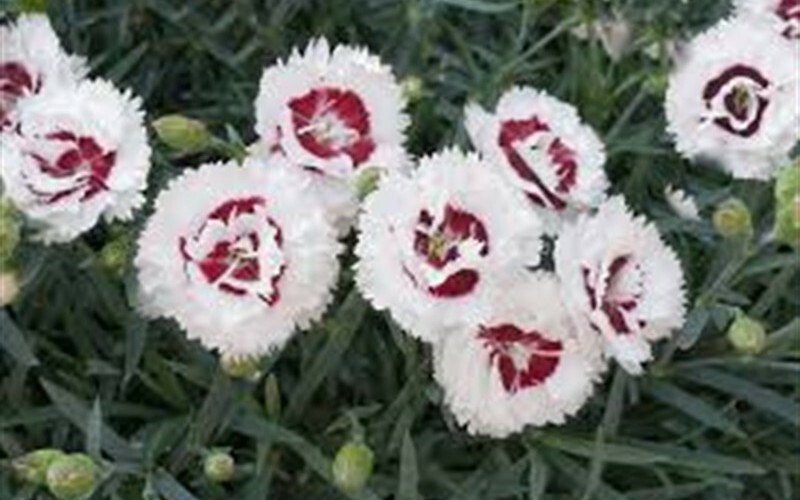 In the spring, summer and fall Coconut Surprise Dianthus produces white and burgundy flowers. The foliage is blue green in color. It attracts butterflies and visual attention and is resistant to deer, drought and heat. 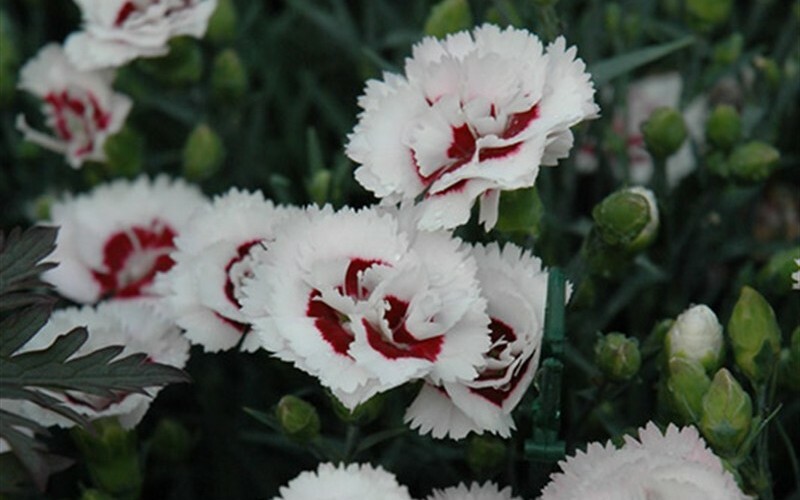 If you like fragrance, Coconut Surprise Dianthus has fragrant flowers. Coconut Surprise Dianthus can be useful in the landscape in mass plantings, in containers or planters, as a border or edger, around decks, swimming pools, and other outdoor living areas, as an accent, as a groundcover, in landscape beds or islands or in small groupings and also in rock or xeriscape gardens, theme gardens, cottage gardens, butterfly gardens or perennial gardens. Arrived in perfect condition looking lovely! They are the most beautiful color and the butterflies just love them! I highly recommend these! Ordered several and all arrived in great condition and thriving. They were packed very well. Excited to watch them bloom in my garden. Got these to add to my walkway and they look great. My wife says they are beautiful. Thank you for a great plant for our garden.